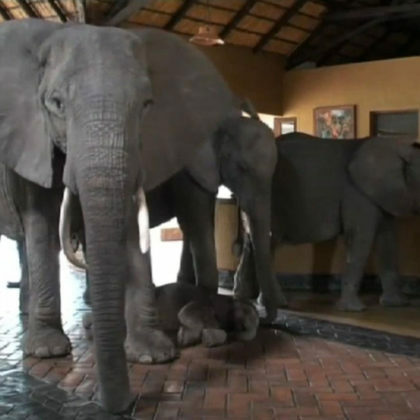 Today, you will arrive in Livingstone. You will be met at the airport and taken to your chosen accommodation. In the afternoon you can visit one of the Seven Wonders of the World, the mighty Victoria Falls. You might like to cross the border to the Zimbabwean side as it has the best views of the cascade. This morning after breakfast you will be driven to the airport where you will catch a small charte plane to the Mfuwe airstrip. Upon landing you will be met by representatives from the lodge and driven to the lodge (it’s about an hour’s drive), keep a lookout for wildlife en route. After checking in you will have a refreshing lunch and some time to relax. 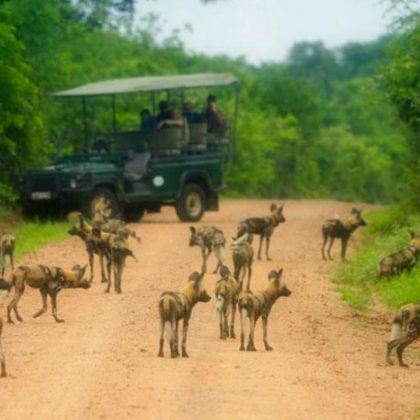 In the late afternoon head out on an exciting guided game drive to explore the South Luangwa which is famous for its large herds of buffalo and big prides of lions. The region is scenic with its leadwood, ebony and mahogany trees and beautiful floodplains. 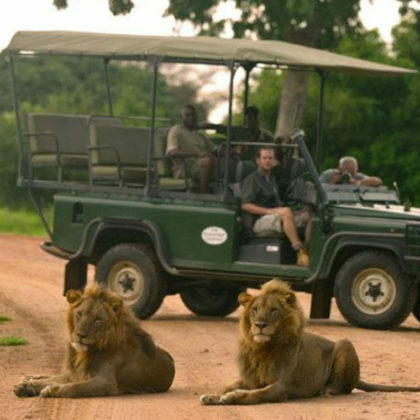 Today you will explore the region on morning and afternoon game drives. You will see Thornicroft’s giraffe and Cookson’s wildebeest which are near endemic to the valley. Birders will be spoilt with the diversity of birdlife in the area which includes carmine bee eaters and lilac breasted rollers. The lodge has some of the most experienced guides in the region who will reveal the secrets of the bush to you. You will continue to explore the region on game drives and spot some of the leopards for which the area is famous for. 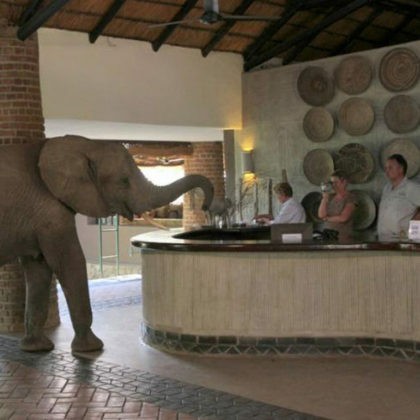 You can also speak you consultant about adding an optional guided safari walk to your trip where the guide will interpret tracks and help you safely approach big game while on foot. 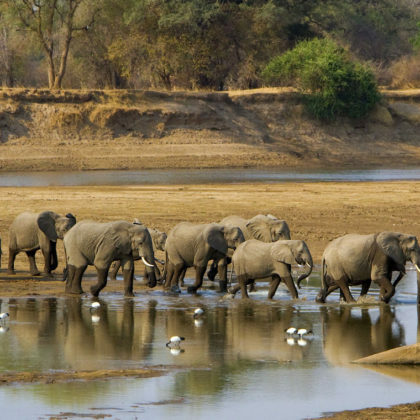 The Luangwa is one of the places in Africa where walking safaris originated and this one of the most immersive safari experiences you can have. This morning after one last game walk and breakfast you will pack up and prepare for your charter flight back to Lusaka. These flights always offer great photographic opportunities as they fly closer to the ground than commercial airplanes.